For some, investment is not justified unless its advantages can be quantified. 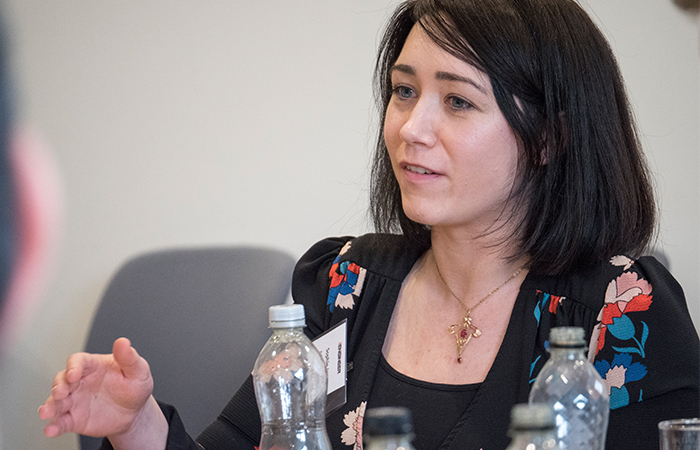 MTC’s digital strategy lead, Dr Lina Huertas, said some examples from around the world suggest that investment in technology can improve productivity by up to 30 per cent, as well as generate “hundreds of thousands of jobs”. For BAE Systems, digitalisation allows the advantages of other technologies to be unlocked. 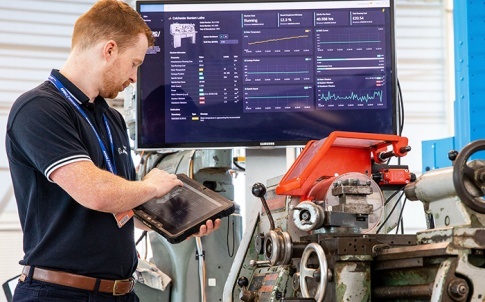 “AI will enable us to use machine optimisation and design, give us the ability to think about the internet of things and get sensing into products and therefore design digital twins and use those the right way,” said BAE’s strategic technology director Andy Wright. Engineers at BAE’s Samlesbury site are trialling a smart cobotics workstation developed in collaboration with researchers from AMRC’s Factory 2050. The technology allows workers to make strategic decisions while delegating repetitive, machine-driven tasks that require consistency to the cobotic arm. As well as a so-called “skills passport” that recognises operators and automatically loads optimised individual profiles using wireless technology, the smart workstation also features light-assisted assembly, which uses “pick by light” technology, prompting the user towards the correct components or consumables during the manufacturing process. In an illustration of how future factory technologies aren’t just for the big players, AMRC has also been working with Tinsley Bridge, a Sheffield SME, on the development of an Industry 4.0 demonstrator that can be retrofitted to existing manufacturing equipment. The director of engineering at Tinsley Bridge, Russell Crow, said: “Interrogating our machine utilisation rates means we have better visibility of what was being manufactured and when, and the ability to assess if we are scheduling effectively. This data will allow us to look at boosting our productivity on the shop floor. “Rather than investing in significant cost and time for new digitally integrated smart machining centres, we were able to work with the AMRC to retrofit our existing capabilities to achieve the same results.